Preparing a home security plan will reduce the chance of your home being invaded by an intruder. Modern technology has improved home security camera equipment. Infrared illuminating cameras work without the need for additional lighting. Infrared light can't be seen with the naked eye. Security cameras with infrared illumination lights work by converting ambient light photons into electrons. The photons and electrons are amplified through an electrical process that converts them into visible light. Preparing a home security plan will reduce the chance of your home being invaded by an intruder. Modern technology has improved home security camera equipment. Infrared illuminating cameras work without the need for additional lighting. Infrared light can’t be seen with the naked eye. Security cameras with infrared illumination lights work by converting ambient light photons into electrons. The photons and electrons are amplified through an electrical process that converts them into visible light. An infrared security camera uses infrared radiation to form an image from heat. These cameras will show an image during low-light conditions or complete darkness. Infrared cameras were originally used by the military. Improved thermal graphic technology is available on home security cameras. The price of these cameras has dropped considerably over the past few years. 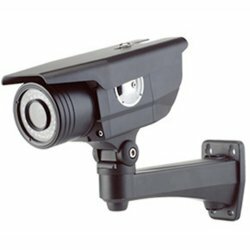 There are many different types of security cameras and equipment available. The one you choose will depend on your home security plan’s goals. Infrared security cameras produce high resolution color video during the daytime hours. At night the camera automatically switches to black and white allowing you to see a clear image. 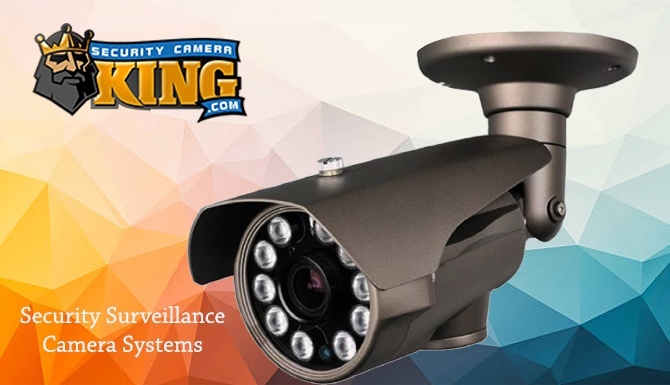 These security cameras are ideal for outdoor surveillance because they are weatherproof. Dome security cameras have smoked glass and hide the angle of the camera. These cameras can be used both indoors and outdoors. You will see these types of security cameras at shopping malls and large retail centers. Businesses also use these cameras for surveillance of employees and their property. They are popular because they produce an image of excellent quality. Another popular home security camera is the covert camera. These cameras are often used to monitor the inside of your home while being hidden from view. Some people use these cameras to monitor the babysitter or in the baby’s room. Hidden covert cameras come in all shapes and sizes. Most of these cameras are not waterproof and are used inside the home. The home security camera plugs into a digital video recorder. These recorders can accommodate a large range of cameras. 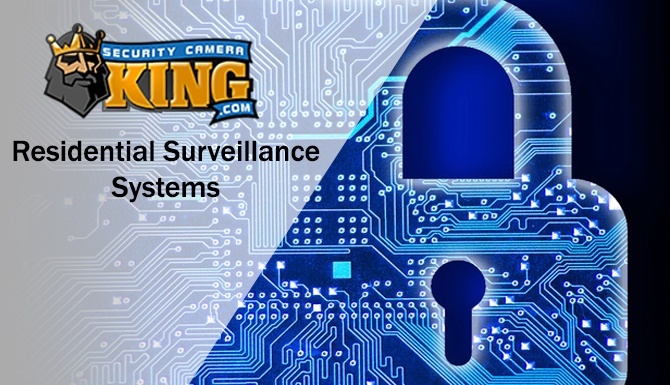 Determine how many security cameras you need before you choose a digital video recorder. It’s best to have a home security professional survey your home and help you decide which home security equipment would fit your needs. These professionals are experienced and can explain the different types of cameras, digital video recorders and receivers you need. Purchasing and installing home security cameras and surveillance equipment is one element of a good home security plan. Add several elements of security to your overall security plan to further reduce your risk of home intrusion. The addition of an alarm system and securing your doors and windows is a good way to add to your home surveillance system. Alarm systems can be wired or wireless systems. 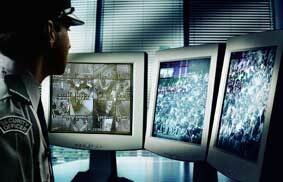 You can choose to have the system monitored by a professional security company or you can monitor the system remotely. Wired alarm systems are more difficult to install because the wires must be installed around walls and doors. Wireless alarm systems are more popular because of the ease of installation. If you choose a professional alarm monitoring company, then oftentimes installation charges will be minimal. The easiest way an intruder enters your home is through the doors or windows. If you have a hollow door, you should replace the door with wood, steel or fiberglass doors. The door from the garage into the home needs the same type of heavy-duty door. Intruders often try to kick the door in first. Be sure to install kick plates on every entry door into your home. Door and window sensors can be installed to detect opening and glass breakage. 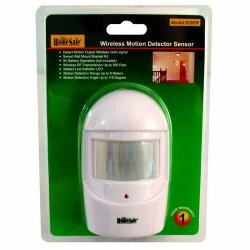 Motion detecting sensors can also be installed in the rooms of your home. You can purchase these sensors from an online professional security company to install yourself. If you are going to use a security monitoring company, then the technician will install these for you. You will save money if you purchase the equipment on your own and install the system. The doors leading into your home also need quality locks. Quality locks on your doors add another element of security to your home security plan. Install the best locks you can afford, along with deadbolts with long screws that are secured to the door’s frame. Intruders want to get inside of your home in the least amount of time possible. Anything you do to reduce the time it takes for them to gain entry into your home may deter the intruder. Add security warning decals to your windows and doors. Fiberglass doors are strong and durable just like wood and steel doors. They require the lowest maintenance and won’t rot or rust. They offer up to five times the insulation than other doors. Fiberglass doors are available in multiple styles and finishes. Intruders don’t like barking dogs. If you don’t have an inside dog, consider getting one. Even a small dog will bark continuously if someone tries to break into your home. Aggressive breeds should be avoided unless you know how to handle the dog. If your dog gets out into the neighborhood, you will be liable if the dog hurts someone. Small dogs love to bark and this will help deter an intruder. Check your landscaping to be sure the bushes and plants are not overgrown. These could easily hide an intruder. Thorny bushes near windows and doors can prevent an intruder from hiding in them. Don’t leave your curtains open to reveal your big screen TV or other valuables. Keep your curtains closed and your valuables hidden. Keep your jewelry in a good safe or store them in a safe deposit box. Most intruders are looking for items they can quickly convert into cash such as money, electronics and jewelry. Don’t announce your vacation plans on social media sites. That information can be given to the wrong person. Taking small precautions add up to reducing your risk. Sliding glass doors look good, but they are easy to remove off their tracks. If you have sliding glass doors, be sure they are secured on the inside and outside. You can purchase security pins for the inside of the door track that will prevent the door from being opened. If you live in a two-story home, be sure to secure the doors and windows upstairs. Skylights in your home can be a security risk. Install locks on your skylights to reduce the risk of someone climbing the roof and entering your home. Most home burglaries are committed by nonprofessionals. The goal is to get into your home as quickly as possible and leave just as fast. Statistics show it takes an intruder an average of two minutes to break into a home. Even if you have a security system, the intruder could be gone before law enforcement arrives. Installing home surveillance equipment will help law enforcement find the intruder. A good home security plan combines many elements of security. Outdoor lighting using motion detection sensors will alert you if someone passes through your yard at night. You can also use solar lights around the landscaping to improve the lighting in the area. Solar lights are economical and they won’t cause your utility bills to rise. Decorating your home with outdoor lighting will improve the look and security of your home. Adding gravel or loose rocks to your landscaping can alert you or your dog when someone is approaching your home. You can buy driveway alarms that warn you when someone drives up to your home. Browse a home security store online to see the latest security equipment. There are so many security devices, sensors and equipment to enhance the security of you and your family. The garage is a popular entry point for intruders. Once they gain entry into the garage, they are hidden from sight. They can easily break into your home by gaining entry into the attic or through the entry door leading into your home. Automatic garage door openers are often left in the vehicle and can be used by the intruder to open the garage door. Never leave your garage door opener in your vehicle. You can buy a garage opener that fits on a keyring. Be sure your garage door opener uses rolling code technology that changes the code each time you open your garage door. Never leave your garage door open while you are home. This gives an intruder the opportunity to see what you have stored in your garage. Don’t buy a garage door that has windows that make it easy to look inside of your garage. Keep expensive sports equipment and tools out of sight. Use a padlock on the inside of your garage door when you are away from home for an extended period of time. To enhance the security of your home, you have to think like an intruder. Go through your home and look for obvious signs that could put your home at risk. Make sure all family members understand the importance of home security. Creating a good home security plan will reduce the risk of you and your family becoming a victim. For any questions or further information request, please do not hesitate to contact us.